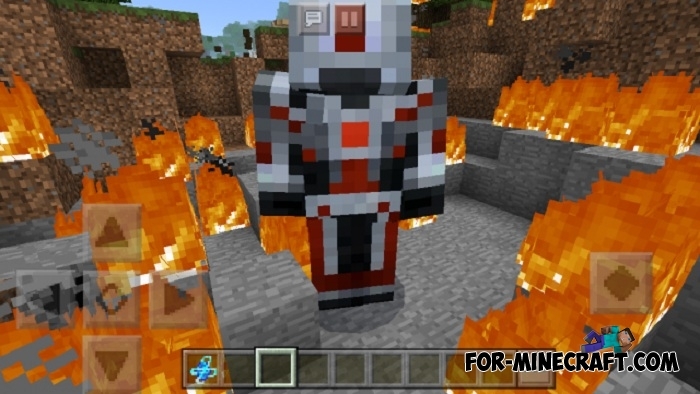 There is a mod for Minecraft PE that turns you into a superhero from the marvel universe. 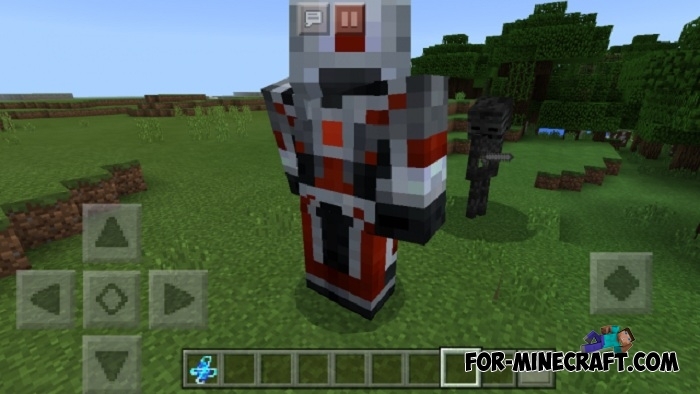 But this addon adds Ant-man against which you will fight instead of turning into him. Ant-Man is stronger than you so prepare yourself by taking weapons and armor. He does not know how to wait and it's enough for him to do just a few strokes to kill you. His main unique feature is small size. He is so small that you hardly see him in the grass, and he attacks immediately. Thanks to this, Ant-Man is your biggest problem when traveling or extracting resources. 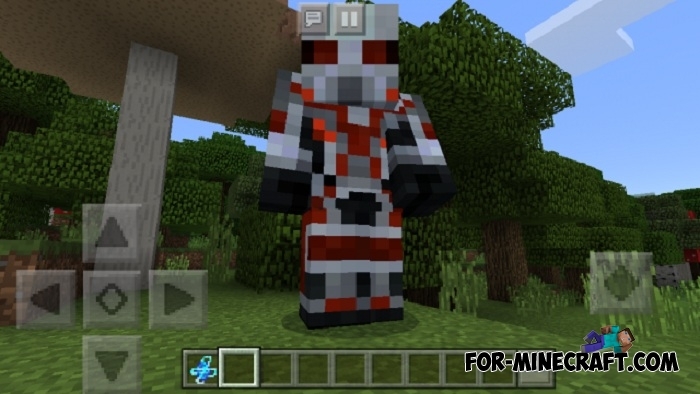 If you want to turn yourself into this superhero then install the Tiny Player addon, but unfortunately you can not use the super suit and change your size by clicking on buttons. 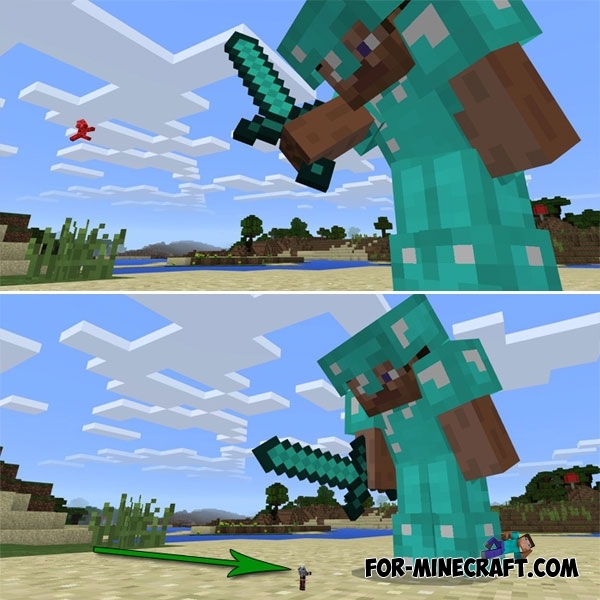 The second version of the addon allows you to dress up the costume of this superhero and turn into a real giant. Put on a diamond armor (replaced with a suit) to become Ant-Man. The size of your character will increase 5 times, which can not be said about damage or hp.Use standard methods to become stronger: powerful weapons and useful potions.